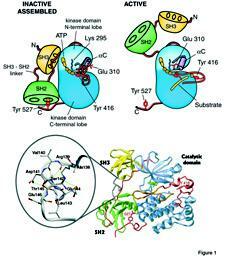 Cell. 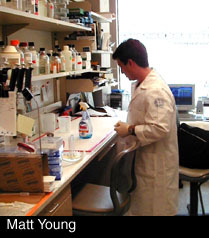 Young et al. 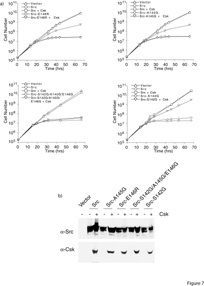 105:115. 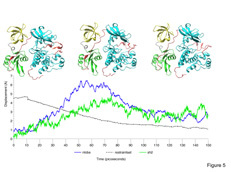 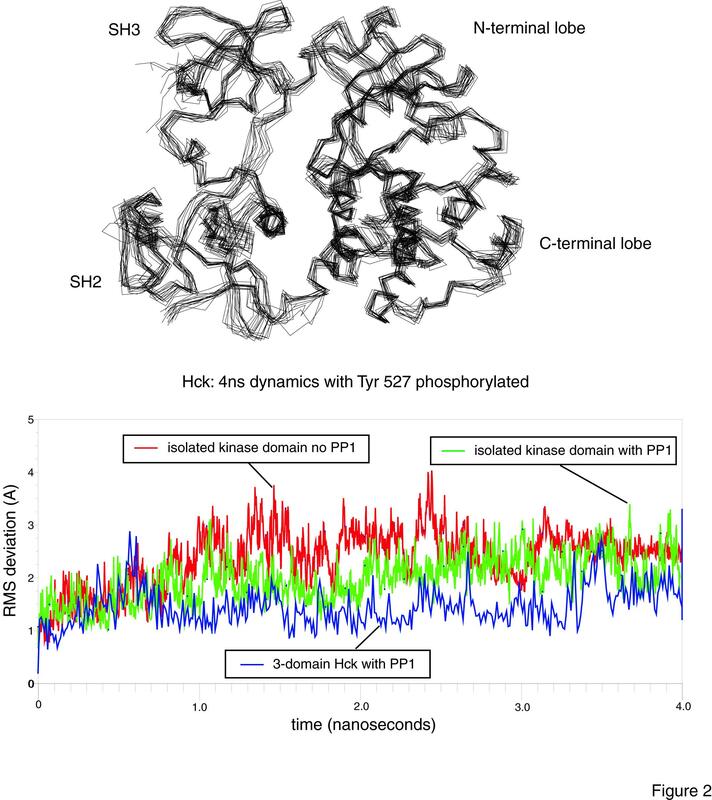 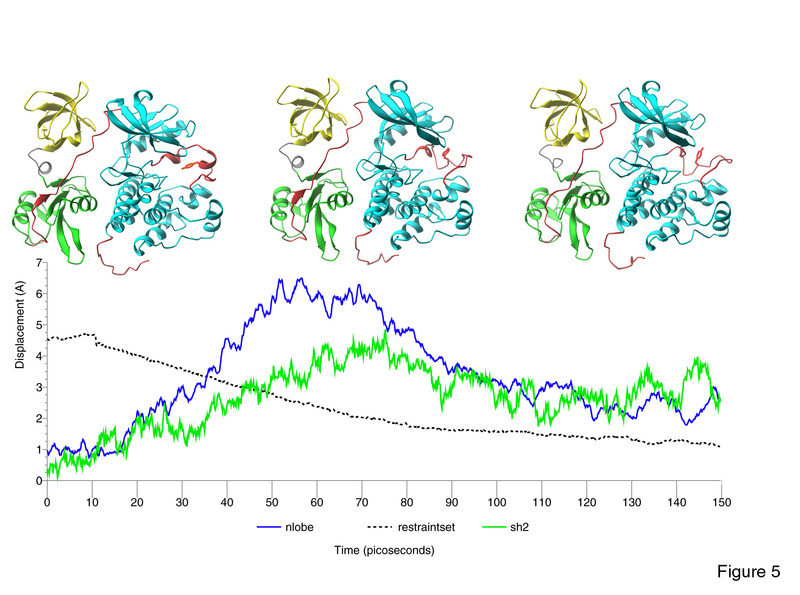 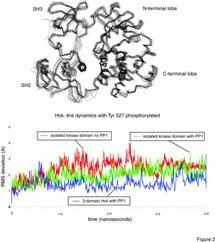 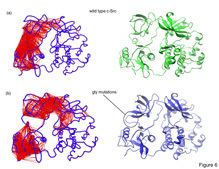 The effect of C-terminal tyrosine phosphorylation on molecular motions in the Src kinases Hck and c-Src is investigated by molecular dynamics simulations. 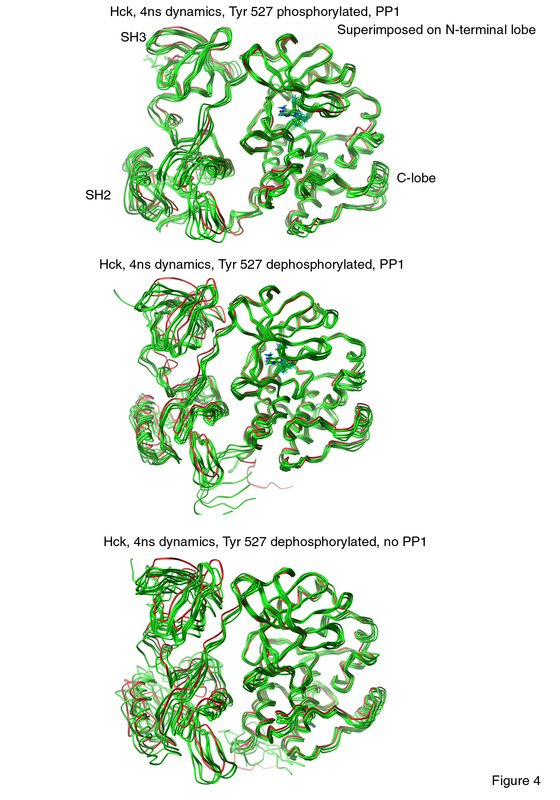 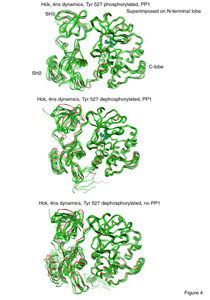 The SH2 and SH3 domains of the inactive kinases are seen to be tightly coupled by the connector between them, impeding activation. 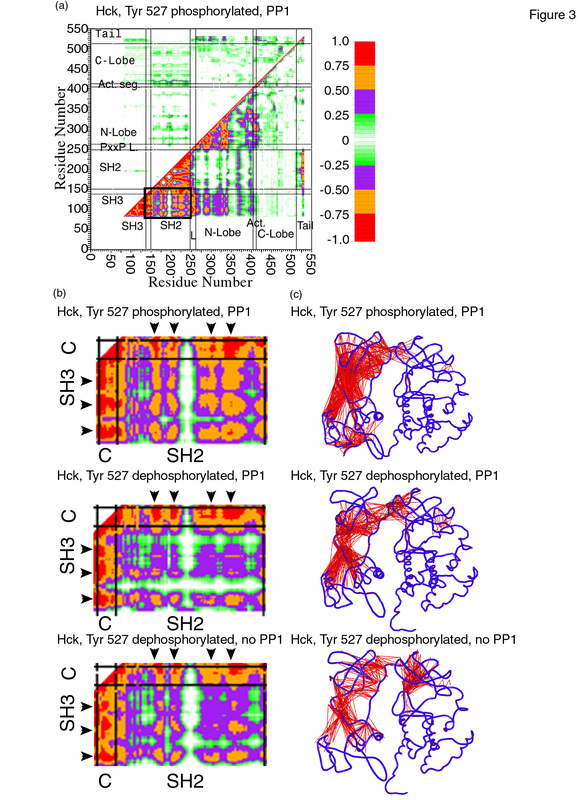 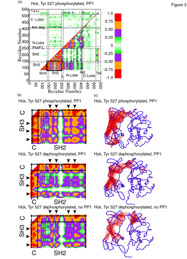 Dephosphorylation of the tail reduces the coupling between the SH2 and SH3 domains in the simulations, as does replacement of connector residues with glycine. 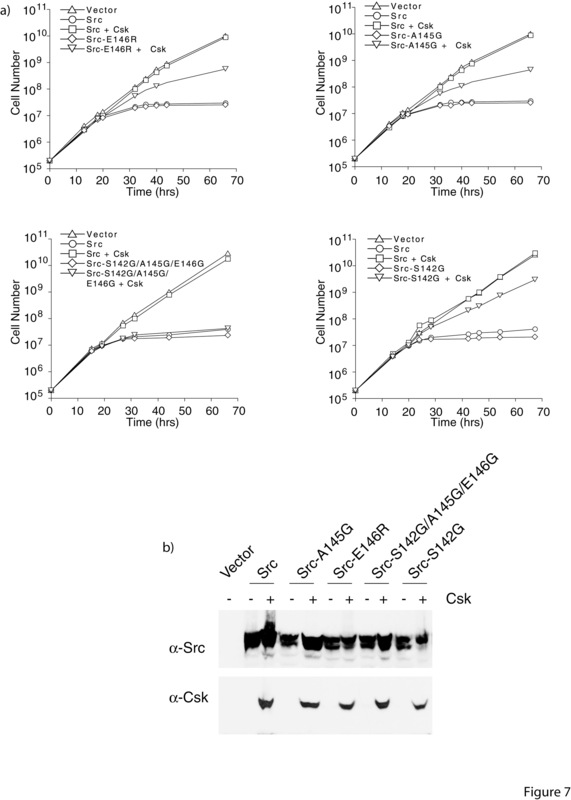 A mutational analysis of c-Src expressed in Schizosaccharomyces pombe demonstrates that replacement of residues in the SH2-SH3 connector with glycine activates c-Src. 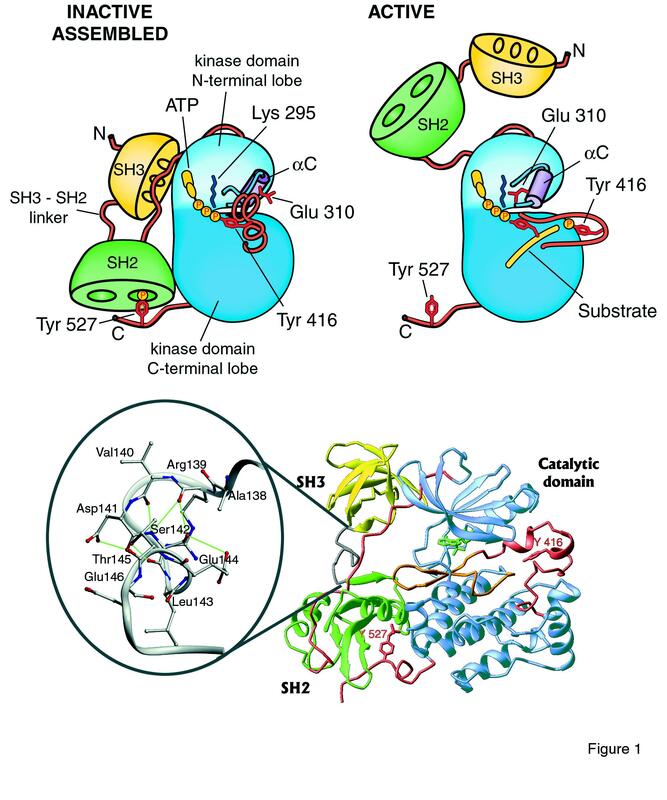 The SH2-SH3 connector appears to be an inducible "snap-lock" that clamps the SH2 and SH3 domains upon tail phosphorylation, but which allows flexibility when the tail is released. 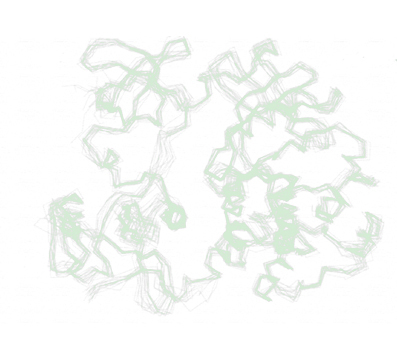 Note: Solvent (water and ions) have been removed from the animations for clarity. 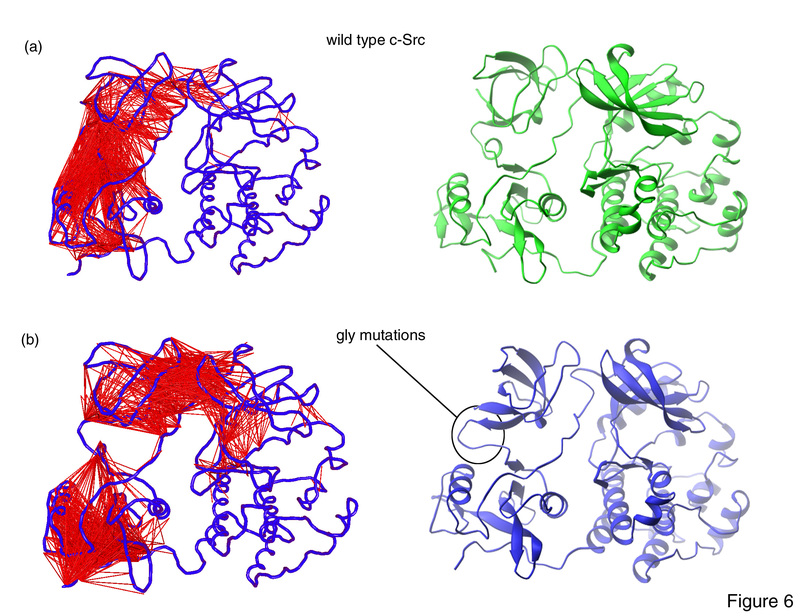 · Model of the closed to open transition of the kinase domain of Src.